Some unexpected player will always emerge and make a big difference for her team in a big game. 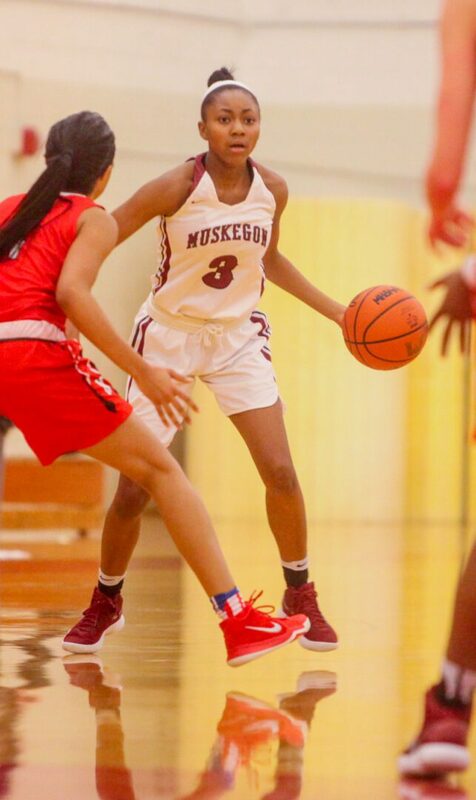 In Monday’s Class A district quarterfinal matchup between Muskegon and Northview, that player was Kailyn Nash. The freshman forward scored a career-high 17 points, all in the second half, as the Big Reds beat the visiting Wildcats 59-46 to advance to Wednesday’s semifinal round. Muskegon (19-2) will take on Reeths-Puffer (14-7) on Wednesday at Grand Haven at 6 p.m. in a district semifinal round. The Big Reds won both meetings with the Rockets in the regular season. While Nash’s performance may have surprised many, Muskegon head coach Rodney Walker saw it coming back in the fall. The game was tied 10-10 after one quarter. After falling behind 17-12 early in the second, the Big Reds got hot. Diynasti Dowell and Alyza Winston each scored five points during the 10-0 spurt, but Winston picked up her third foul shortly after. Northview tied the game before Daz’sha Day hit a buzzer-beating triple to put Muskegon up 25-22 at the half. That’s when Nash took over. The freshman scored Muskegon’s first six points of the second half and nine total in the third quarter. The turning point of the game came at the end of the third, when Muskegon went on an 8-0 run to take a 39-31 lead. That included four free throws with .6 seconds left in the quarter. Nash was responsible for three of those free throws. 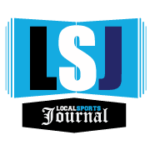 She was fouled while shooting a three-pointer, and Northview head coach Rose Antrim was called for a technical foul. Nash sank all three of her attempts, then teammate Diynasti Dowell split the technical shots, giving the Big Reds their largest lead to that point. “That definitely gave us a boost,” Walker said about the free throws. Muskegon carried its momentum into the fourth quarter, beginning with an 8-2 run and taking a 47-33 lead. Muskegon kept the pressure on defensively down the stretch and closed out the 13-point victory. Winston finished with 13 points for Muskegon despite the foul trouble. Dowell added 12 and Day scored nine. Sha’kyia Parker led Northview with 13 points and Taylor Griffith added 12. The Wildcats finished the season 12-9.